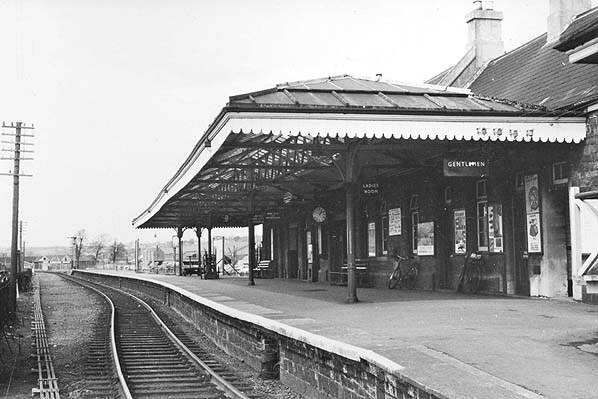 Present state: The station building survives as a restaurant, part of the platform and canopy also survives. Ilfracombe was the subject of numerous unsuccessful schemes, including rival L S W R and Devon & Somerset Bills in 1864. 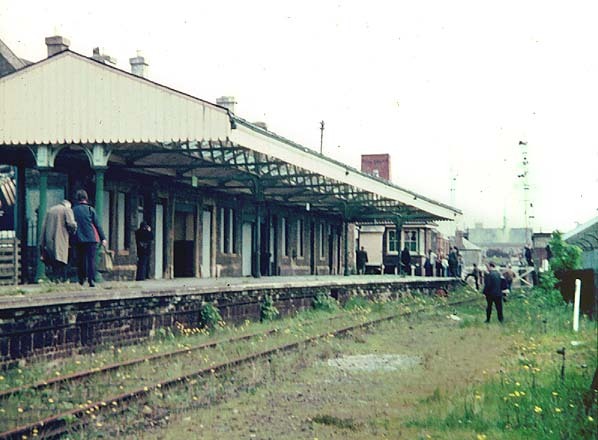 An eventual agreement for a joint line of mixed gauge broke down when the Devon & Somerset could not pay its share. 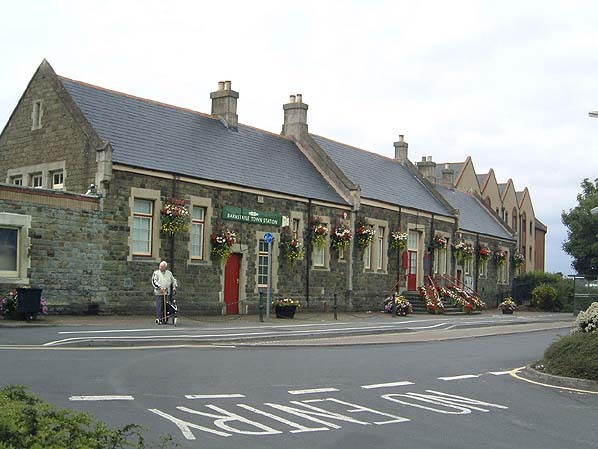 A new approach was made by the Barnstaple & Ilfracombe Railway, a subsidiary of the L S W R, receiving Royal Assent on 4 July 1870. Now the price had to be paid for the railway's late entry into North Devon. 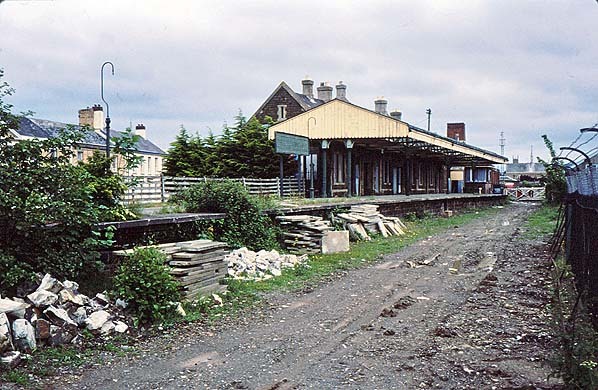 So depressed had the economy become and so many labourers had emigrated that not enough navvies could be found, the line was eventually opened from a new junction at Barnstaple on 20th July 1874 with intermediate stations at Barnstaple Quay, Wrafton, Braunton and Mortehoe & Woolacombe. 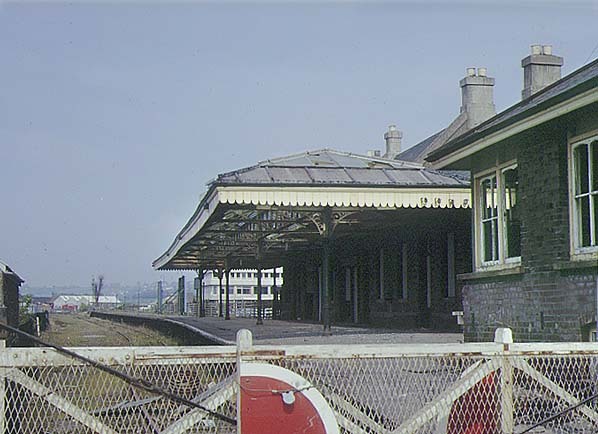 Barnstaple Junction, just called Barnstaple till the opening of the Quay station on the Ilfracombe line, had its down island platforms added in May 1874 in readiness for that event. 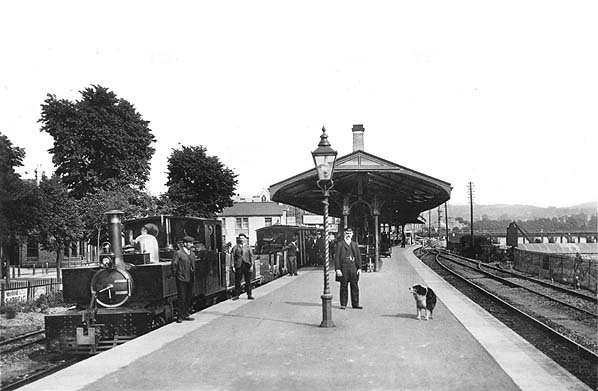 Barnstaple Quay was replaced by Town on a larger adjoining site to the north in time for the opening of the line to Lynton in 1898 which had a terminal bay at the new station. The Ilfracombe line was initially single track but was doubled in three stages between 1889 - 1891, although the bridge over the River Taw remained single. Ilfracombe at 7.55 p.m. on 3rd October. The trackbed between Barnstaple and Braunton is now part of the Tarka Trail cycleway. train is seen in the platform.